Welcome to Monday on Fishink Blog, as I’m brimming with new news about two great publications coming out this month, I’ve decided to dedicate this week solely to books. Back in December of 2013, I wrote a post about the artist Rena Gardiner and really got to know and appreciate her beautiful work. 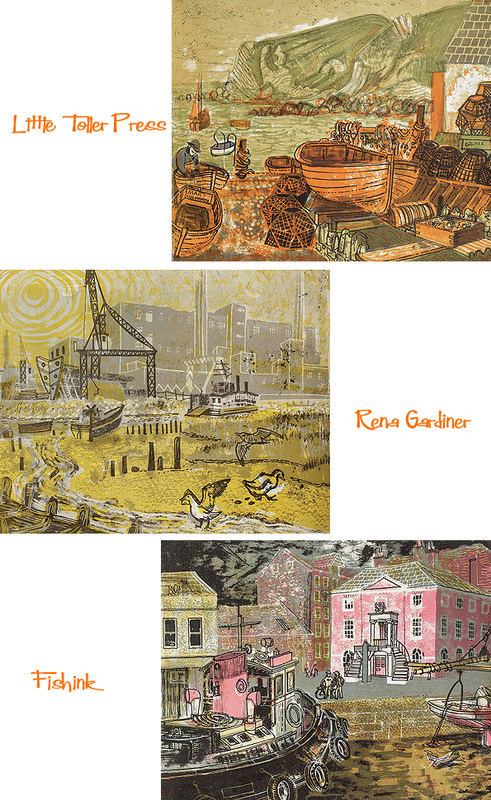 Little Toller Books have just announced the release of a new book called ‘ Rena Gardiner Artist and Printmaker ‘, which looks to be something quite special, and what’s more, it’s available as of tomorrow. 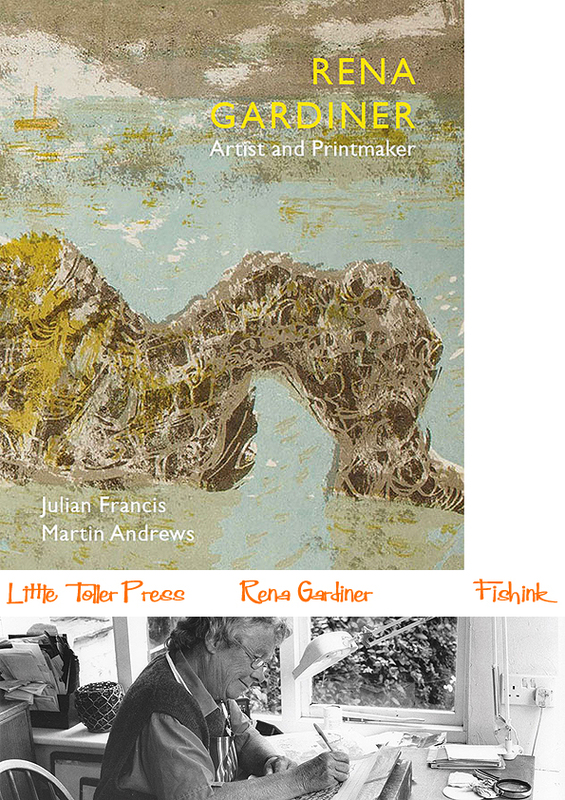 This first book on the artist and printmaker Rena Gardiner (1929–1999) is long overdue. Her guidebooks to historic places, buildings and the countryside have an idiosyncratic style that is unique in post-war British art. Her principal achievement was some 45 books, all of which she wrote, illustrated and printed herself, and of which no two copies are the same. But her legacy also includes paintings, pastels and lino-cut prints. Her collectors and admirers are many, and in recent years a new generation of artists and printmakers have discovered her work, helping to spread the word and foster the recognition she merits. Rena Gardiner dedicated her life to her art, doing so alone in a thatched cottage in the heart of Dorset. Combining the great tradition of British topographic artists with the rich era of autolithography of the 1940s and 1950s, she created her own very personal and individual visual style. An unsung heroine of printmaking, uninterested in publicity or fame, she created an artistic legacy that is instantly recognisable for its exuberant use of colour and texture. 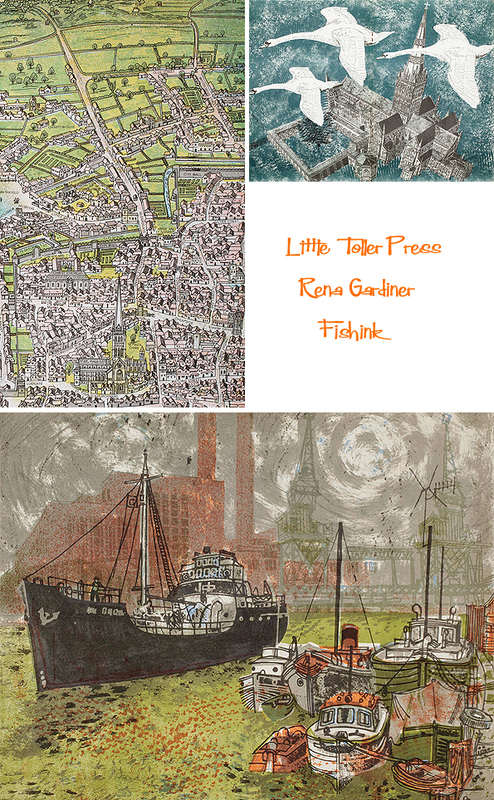 Rena Gardiner is fortunate in the two authors responsible for this celebration of her work, which includes nearly 200 illustrations – many of which have never been published before. Both Julian Francis and Martin Andrews have long been Rena’s champions. As well as tracking down lost paintings and rare copies of her books, Julian Francis has contributed a meticulous list of her books, leaflets, cards and prints. In 1993 Martin Andrews spent a day with Rena Gardiner, talking to her and photographing her at work, and is thus admirably qualified to provide both the biographical background to Rena’s career and an account of a printing technique that was uniquely her own. 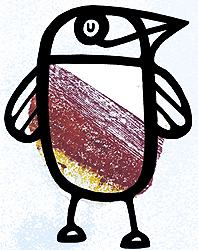 Little Toller Books was born in 2008 as an imprint of the Dovecote Press, a family-run publishing company that has specialised in books about rural life and local history since 1974. Little Toller was started with a singular purpose: to revive forgotten and classic books about nature and rural life in the British Isles. I also discovered a fascinating 25 minute lecture about Rena and her working methods, by Martin Andrews (one of the books authors). You can buy a copy of this book here for the very reasonable price of £20 (plus £4 p&p). There’s over 160 pages and the first 50 books ordered will be signed by Julian and Martin. With a release date of April 1st, you’d be a fool not to ! Let there be no doubt that my copy is already on it’s way. ← Fishink walks and new artwork. Some lovely pieces in there.